The earth is a tangle of dragons. The dragon is a myth given veracity by the fossil record that offers dinosaur remains as proof positive of the monsters who had possessed the world, once. The dragon is a monster that carries any burden we give it — terror, wish-granter, lesson. 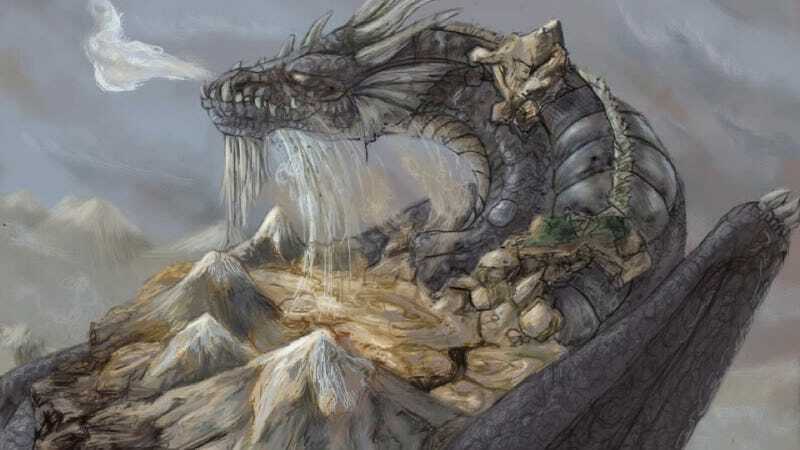 For the people of the Santa Clara Pueblo, Avanyu is the dragon who brings water. His brothers, in spirit if not in geography, are the Japanese Ryu, the Vietnamese Long, and the Hebrew Leviathon. Mayan Kukulkan is the messenger of the sun. Indian myth, perhaps, trusts its dragons most; Ananta-Shesha, the zenith of serpents, is he upon whom the earth rests. As he uncoils and stretches, time moves forward and the universe flourishes; when he curls back into himself, the universe will cease, and only he will be left; his name marks him as the eternal: "that which remains." You really have to read the rest . . . on Fantasy.